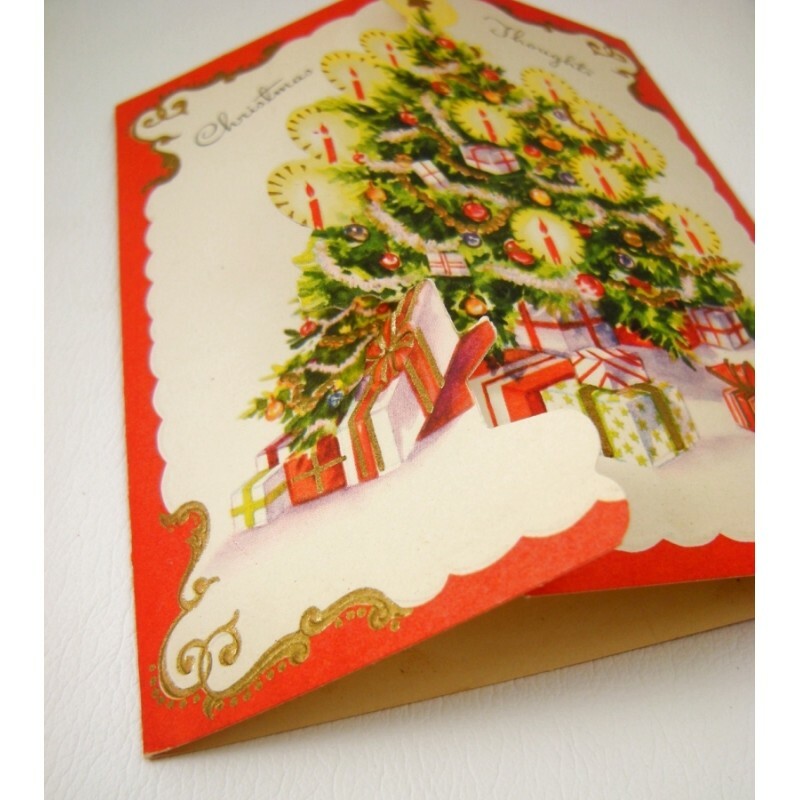 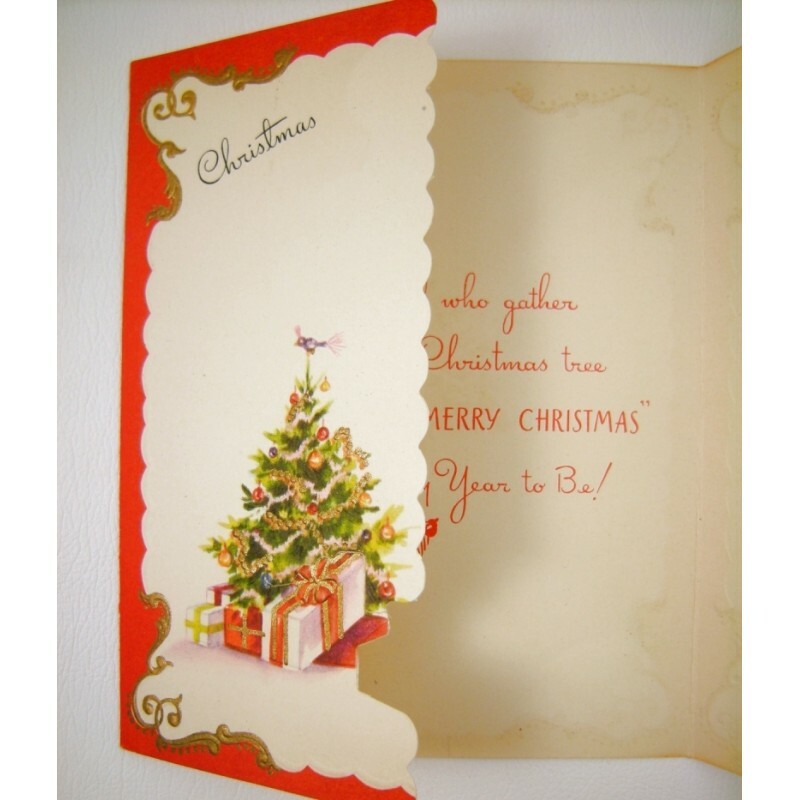 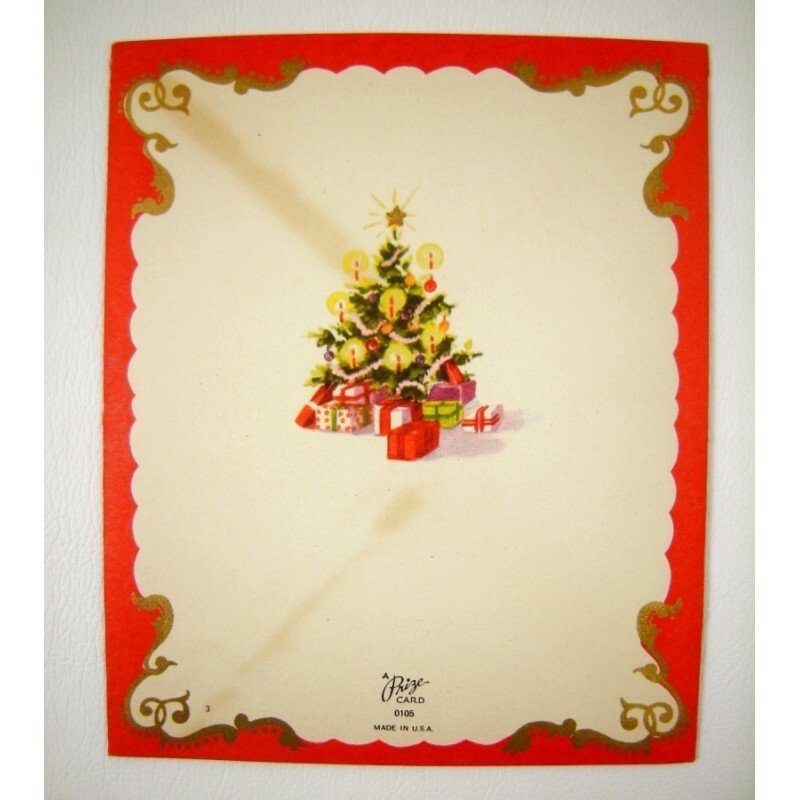 Vintage unused Prize Christmas greeting card with a die cut fold-over, interlocking flap cover to complete a Christmas tree in true vintage style, all lit with candles. 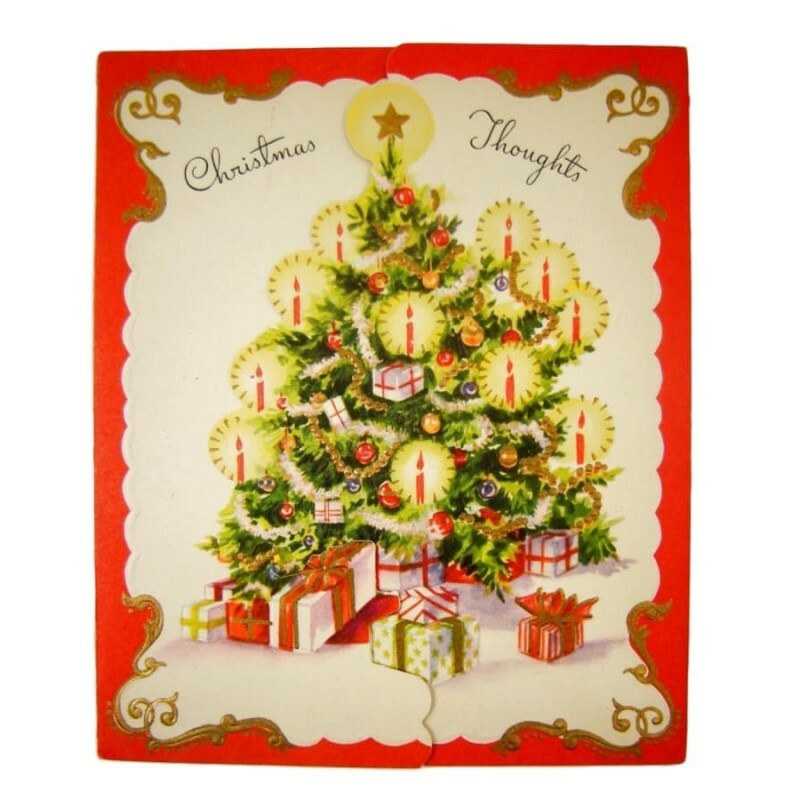 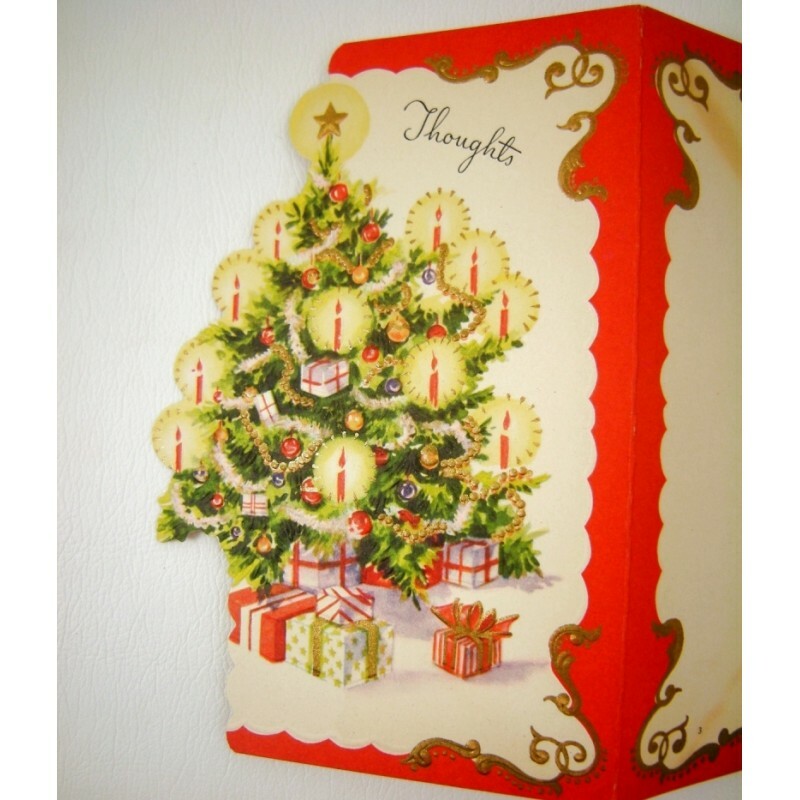 The cover reads Christmas Thoughts, with a scroll and scallop edging to the red frame. 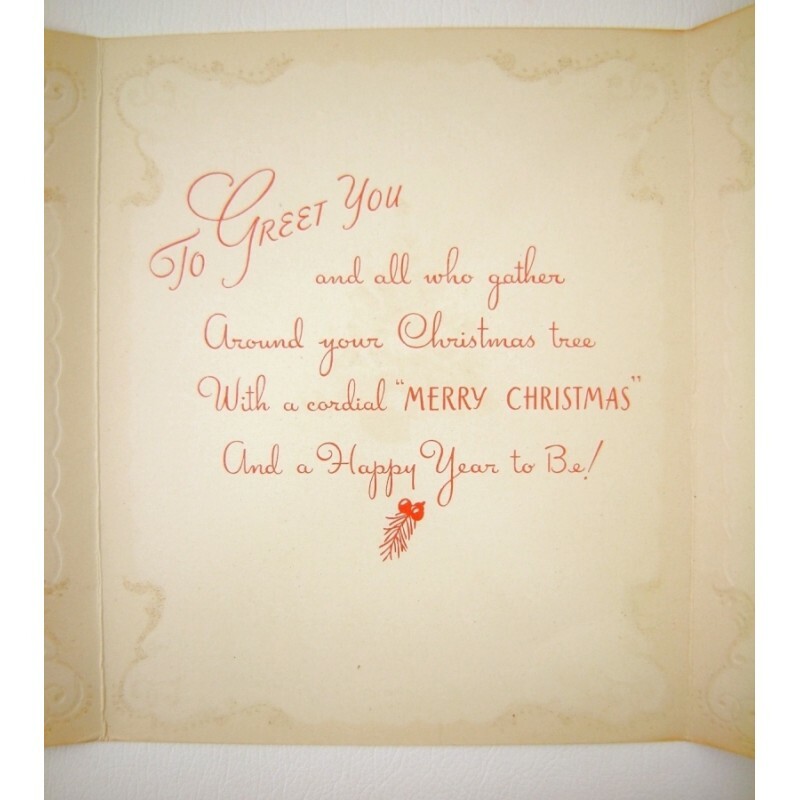 Inside the card reads To Greet You and all who gather around your Christmas tree with a cordial Merry Christmas and a Happy Year to be!